Obsidian Sea is a doom metal band formed in the beginning of 2009 in Sofia, Bulgaria finding inspiration in otherworldly experiences, myths and the hidden corners of the psyche and imagination in contrast to the shallow and cold world we live in. Initially the band consisted of only two members: Anton Avramov (guitars, bass & vocals) and the drummer Bozhidar Parvanov. In this line-up a 4-song demo was recorded in 2010 and then the first full-length album “Between Two Deserts” (released in 2012 by Solitude Productions). 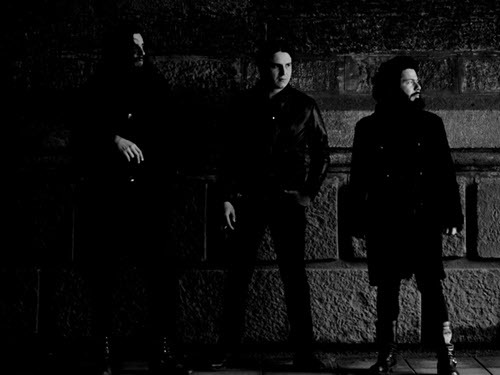 By the end of 2012 Obsidian Sea became a trio with the addition of Ivaylo Dobrev on bass and played their first live show in their hometown. More concerts followed, including appearances with bands such as Ufomammut, 1000mods and also local ones Upyr, Sativa, Muddy, Trysth, The Lost Underdogs etc. contributing to the development of a small but promising doom-stoner-sludge scene in Bulgaria. The second Obsidian Sea album named “Dreams, Illusions, Obsessions” was recorded in spring – autumn 2014 and released by the band themselves as a CD (limited to 500 copies) and in cassette format by Serpent Eve Records (Bulgaria). The year of 2016 brought a line-up change – Ivaylo Dobrev was replaced on bass by Delyan Karaivanov (previously in Center, Upyr).